Listed on these pages are books that I have read (or written!) and recommend. 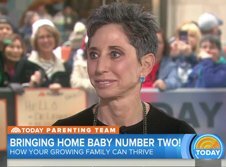 Hailed by The New York Times as a “parenting guru,” Betsy offers the tools parents need to explain the world to their growing children. Her down-to-earth advice, delivered with humor, is derived from her expertise working with thousands of children (from toddlers to teens) and parents. The unique blend of humor, compassion, and expert insight that Betsy employs in her daily practice also permeates her books. One parent described Betsy’s expertise as a “blend of heart-centered, palpable love of children and a formidable understanding of how kids’ minds and hearts work.” Betsy handpicked some helpful books on parenting. She is the founder of Parenting Pathways® and a mother of triplets.